Pro-Ject Stereo Box S Phono PR is derived from 3 classics combines the Stereo Amp Box S, Pre Box S and Phono MM in a stylish silver body to deliver exceptional sound quality. 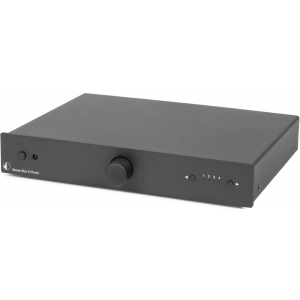 With a new "S" body design, the Stereo Box S Phono PR is a slim and elegant looking device which can be controlled via either the slim-line IR remote or the simple front-facing controls. 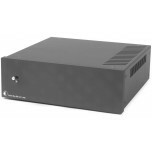 The addition of a 'Record Out' on the back of the amplifier enables the Project Stereo Box S Phono PR to connect to other stereo components like the Head Box. The integrated phono stage accommodates your moving magnet cartridge easily and efficiently covering you regardless of what MM cartridge you have.